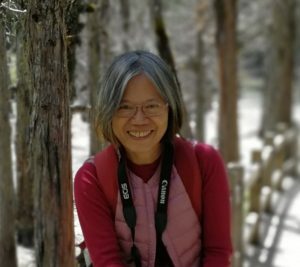 We have had an amazing trip around the Manaslu circuit with Chandra who really looked after us and took us to great guest houses along the way. The mountains are beautiful and everyone is so hospitable and friendly along the way. 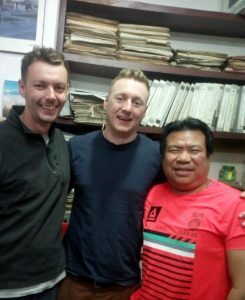 Thank you so much, we will be sending all our friends your way and thank you it’s so good to have new friends in Nepal. Thank you Min Thapa and your team members are giving helpful and friendly to our group. I am very happy to have the great chance to see the mountain clearly during my Nepal trip from 22 March to 29 March 2019. Hope to come to Nepal soonest. We had a great trip sight seeing and shopping. 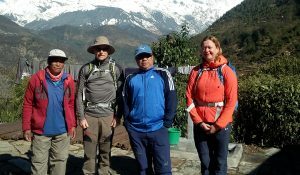 Experienced the friendliness of Nepalese people and the great incredible view of Himalayan mountain range. Min’s team is great, flexible, patience making everything right. A big thank you to all, really feeling blessed to be in this trip. Thank you Min Thapa for your good hospitality and good guide. First trip to Nepal and saw the loving people of Nepal. The country with so wonderful of Nature and fresh air. Your team shall be given the honor of trust and patient with our group and they are given to take care of us. Hope my next trip to Nepal will be much more adventurous and shall be kept in touch. Thank you Min! Nepal is such a beautiful country. One trip is certainly not enough to cover many nice places to visit and things to do. Will certainly plan another trip to see more.Thank you to the staffs for their friendly help and thank you to you for planning everything like logistics and organizing of the trip. See you again next time. View of the Annapurna mountain range from Bandipur was magnificent. Thank you for making our trip pleasant. JB, Raj, Min and team are very friendly and helpful. Beautiful country. Hope to be back for Base Camp. Wow! What an absolutely wonderful 10 days trek of Ghorepani Poonhill, that’s away from everything. Our trek was perfectly planned into the details benefiting our every need. 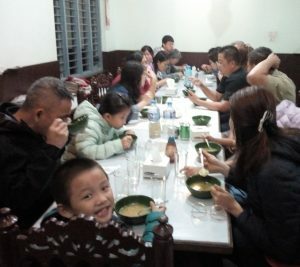 All teahouses had amazing views, the food was tasty and very well cooked and we learnt to appreciate a nice cup of black tea. I was bit worried before starting the trek as I had a fear of falling. But there was absolutely no reason to worry. When I needed a hand, Min was always there, ready to make sure I felt safe. The trek and the outstanding nature cannot be explained by words. Everybody just have to do the trek themselves and discover a nature out of this world. Thank you Min and JB for making this holiday one of our best. I wanted to climb the unclimbed mountain in far west since long time; it used to be my hobby in life. But due to some reason and my own internal cause, I didn’t climb it. I am really looking forward to come back here in Nepal, probably next year. The visit in Nepal this time, I’ve treasured beautiful memories and is always nostalgic. Hence I’ll come back to Nepal may be next year in my earliest convenience. 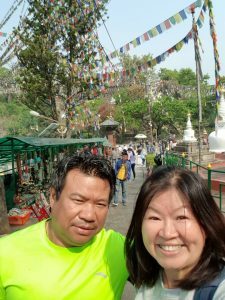 Climbing the Himalayas was my very first time experiences, but there was no worry, thanks a lot to our experienced staffs. Everyone sincerely co-operated and supported us. I really appreciated the service. I’m sure that I’ll come to Nepal again. So I’ll really be glad to see you then. Thank you! I’m not good at English but I will try to write down my heartfelt thanks. From Kathmandu to Simikot BC, we always had some trouble but our team consisting of guides, Sherpas and all other staffs helped us a lot. We all thank you very much. We won’t forget what you did for us. With all the three months trekking with all the staffs providing me rich hospitality. We were trekking from Jomsom to the north of Simikot with incredible landmarks. 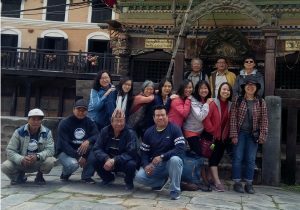 The Climbing Sherpa were very informative on the mountains, Himalayas and interesting culture of Nepal and so showed kindness to us. They carried the heavy luggage and provided us delicious cuisines. I’ll never forget this experience and we are frank to say that we couldn’t have achieved this expedition successfully if they were not there. And even Min Thapa and Boundless Himalayas Agency for organizing this trip. Thanks a lot! The end of an adventure truly. 2 weeks spent with Steve on the Manaslu circuit staying in fairly modernized tea houses was an incredible journey through many different scenery and some amazing vistas – especially the full moon and a clear sky to cross the Larky La pass. 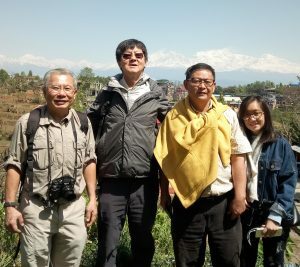 After a few days resting and exploring Bhaktapur and Panauti – headed out to Jumla and a very different experience in the remote west en route to Rara Lake and then to Juphal. It was an incredible experience, touched my heart. As every trip to Nepal does in some way! My deepest thanks to Chandra for this care of me and looking after my needs throughout and thanks to porter for my heavy bags – enjoyed their company. Thanks to Min for organizing and Min + Jim (and Chandra for driving us about) for my stays in Kathmandu and Bhaktapur. Min set me up for the Everest Base Camp trek, starting in Jiri, my knees were out at some point and we ended at Namche. But I had an absolutely lovely experience, fabulous views and great walking. 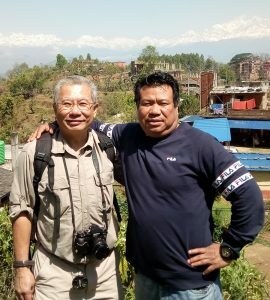 My guide Ramesh Neupane was superb. I’ve used Min’s company three times already and will definitely be back. Thank you so much to Min, Ramesh, my porter Raj and all the people I met on the trail.